It’s been just over three weeks since Black Mirror Season 4 debuted on Netflix. We think we’re just about recovered. As regular viewers will know, it’s a show that’s almost impossible to binge-watch, due to the often devastating nature of its storylines. It seriously makes you rethink your daily life, as well as the trust that you have with others and – of course – technology. After watching an episode, can you truly use social media or your laptop with a clear conscience? With Season 4 released at the end of the year, it was an apt goodbye to the year that was 2017. From sinister machines to grizzly post-digital deaths, here are the top five things that stood out the most. During the midst of an investigation in Crocodile, it is revealed is that, in the future, you have no way of hiding your darkest memories. In the episode, which stars the magnificent Andrea Riseborough, memory pins are attached to temples and used to inhabit the brain for full, unadulterated memory playback. So, if you’ve committed a crime, there’s no chance of lying your way out of it. A perfect tool for police, or a gross invasion of our innermost thoughts? The effects of helicopter-parenting are apparent in everyday life: we’ve all seen neurotic mums and dads that can’t let their child out of their own sight. 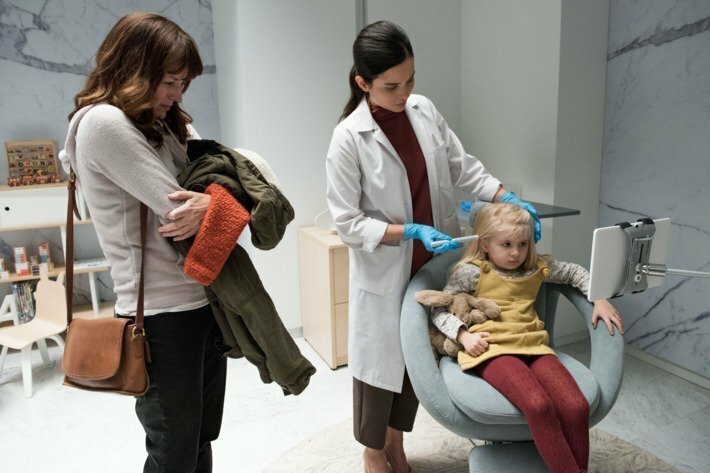 Arkangel – directed by Jodie Foster, no less – is an episode which explores an implant technology used to monitor children. As is the case with all great episodes in the show, it features a technology and sinister outcome that is totally realistic. If the app was available, I think many parents would think about giving it a go. Black Mirror is a show ahead of its time in more than ways than one. From its first season, Charlie Brooker has shown his ability to write exciting, dynamic roles for female actors – something that sadly doesn’t happen enough. There’s the aforementioned Riseborough as a woman that’s allowed to be villainous and emotional, as well as Cristin Milioti as a tech company employee who takes matters into her own hands when she faces trouble at work. 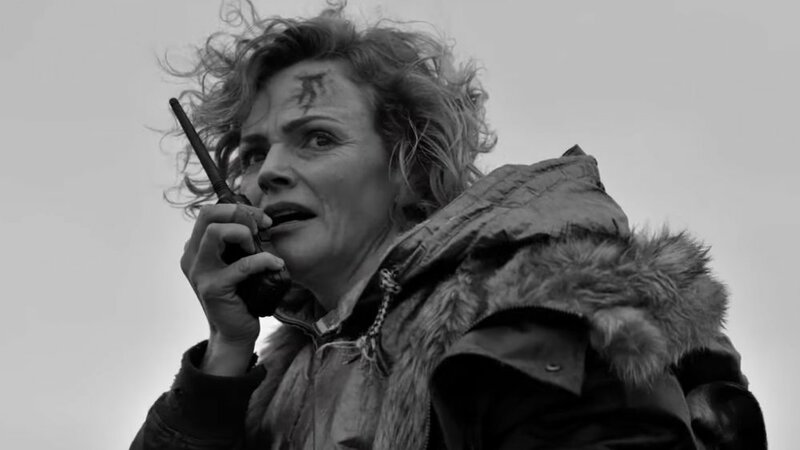 While Black Mirror will always stand out for its subject matter, Brooker’s platform for female characters is just as surprising – though with the latter, it’s most definitely in a good way. Hang The DJ, Brooker exacerbates the age-old dilemma of dating – by adding an expiry limit to each relationship your dating app pairs you up in. The episode convinces you that you are stuck in an endless paraphilia of relationships that are bound to end, no questions about it. However, by the end, it’s not doom and gloom. Far from it. Rather, you realise that maybe true love really does exist – and maybe that is the scariest part of it all. The fact that Metalhead is one of the shortest episodes of the show’s history is certainly compensated by the fact it features the scariest technological pet. Based on the Boston Dynamics’ dogs, which you surely will have seen on Twitter, the episode introduces one of most terrifying villains to a TV series ever: ‘The Dogs’. See, the worst part about machines as killers are that you can’t stop them – there’s no emotion there. You just have to accept your fate. Nice thought to end on, right?